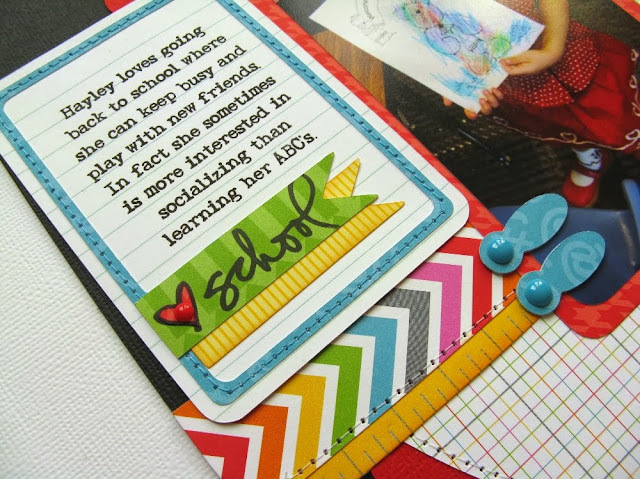 I'm finally getting around to sharing another back-to-school layout that I created for Technique Tuesday using their super cool new Story Card dies (and fun papers from Doodlebug's Take Note collection)! I must confess... I'm not particularly drawn to Project Life or pocket page scrapbooking, but I love these dies! They have so much versatility for so many projects including traditional scrapbooking and cardmaking. 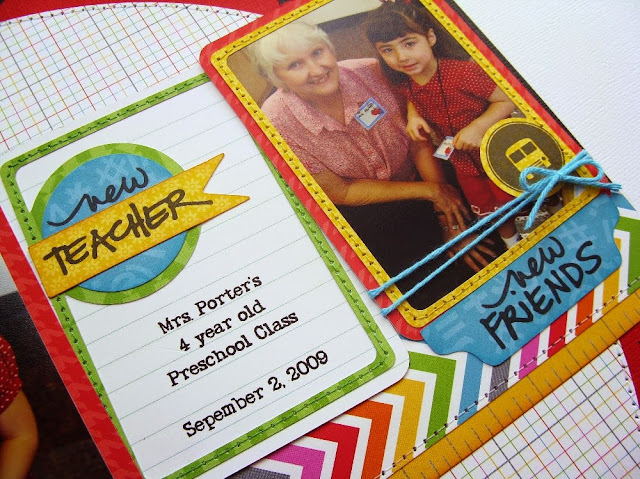 I had a lot of fun pairing together the different shapes and best of all the circles are made to mix and match with so many different Technique Tuesday stamp sets! You know I love me some stitching so I thought it would be fun to stitch around the card perimeters in coordinating thread colors and was delighted to discover the bus from Travel With Flair by Ali Edwards looks just like a school bus! Love all the versatile supporting shapes that come with each one too like basic tabs, photo corners and photo turns. I know they will be something I turn to over and over again. To go with my school theme I used lots of phrases from their stamp set called I Love School by Ali Edwards. 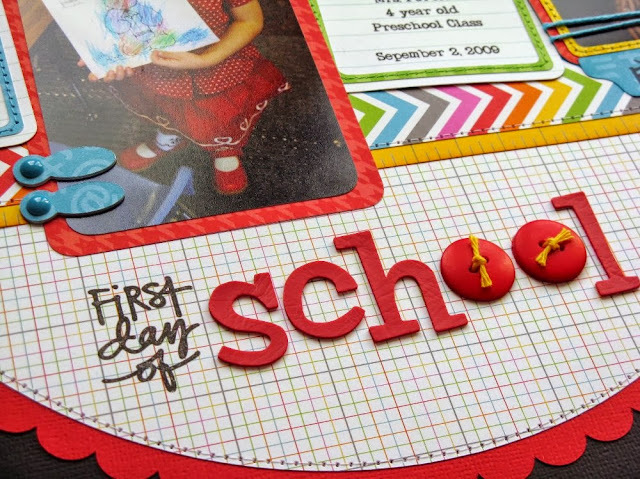 For my title I masked off the word "school" from one of the stamped phrases and spelled out the word instead with red vinyl Thickers to add a little interest. I hope you'll take a look. I must say I want them all now!